Order in the next 7 hours 8 minutes for delivery on Thursday, April 25. 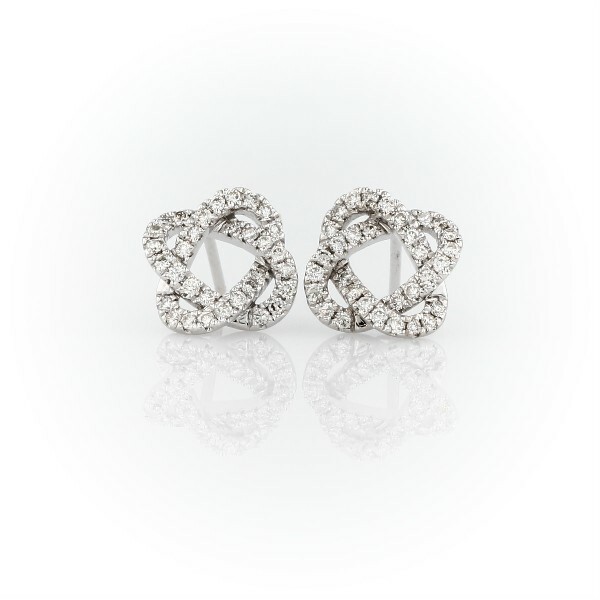 A symbol with sparkle, these diamond love knot earrings will be forever favorites. The petite earrings feature a 1/2-carat total weight of petite pavé diamonds that glitter along the classic curves of brightly polished 14k white gold. Incredibly wearable, these love knots make a beautiful gift for someone special.